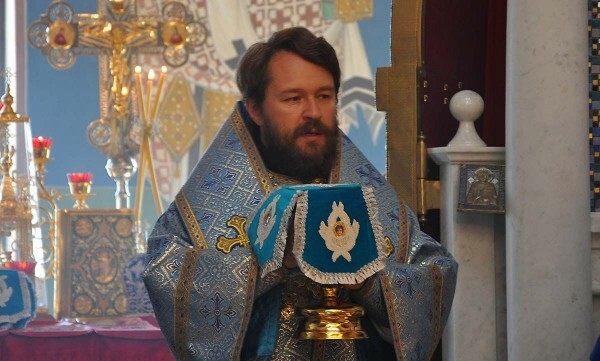 On 21 September 2014, Metropolitan Hilarion of Volokolamsk, chairman of the Moscow Patriarchate’s Department for External Church Relations, who is in Jordan to participate in a plenary session of the Joint Commission for Theological Dialogue between the Orthodox and the Roman Catholic Churches, visited the Russian Pilgrims’ House at the place of the Baptism of Jesus Christ. 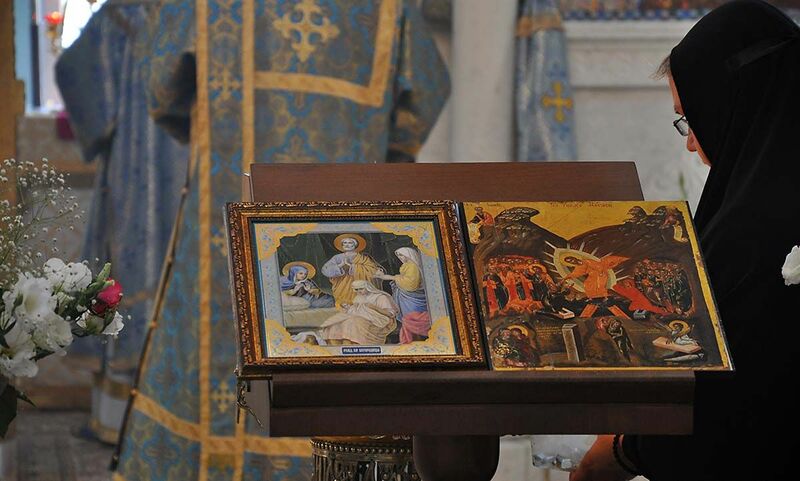 On the day when the Orthodox Church celebrated the feast of the Nativity of the Most Holy Theotokos, Metropolitan Hilarion officiated at the Divine Liturgy at a chapel of the Pilgrims’ House. Praying at the service were dozens of pilgrims from Russia and other countries. Concelebrating with Metropolitan Hilarion was Hegumen Feofan (Lukyanov), acting head of the Russian Ecclesiastical Mission in Jerusalem. “I am glad to have an opportunity, upon the blessing of His Beatitude Patriarch Theophilos of Jerusalem and His Holiness Patriarch Kirill of Moscow and All Russia, to celebrate the Divine Liturgy at this holy place today, when the Orthodox Church celebrates the feast of the Nativity of the Most Holy Theotokos. That same day, Metropolitan Hilarion, accompanied by Hegumen Feofan, visited Mount Nebo, from which the Holy Prophet Moses had once viewed the Promised Land, and the city of Madaba. There is a famous 4th-century mosaic map of the Holy Land on a floor of an ancient Orthodox church in Madaba.